This is the story my father, Ya’akov, told me. He had heard it from his grandfather, Chaim, who was there in the Russian shtetl when it happened, during the reign of the czar. One snowless early winter’s day, at the end of November, just before Chanukah, a solidly built man — he seemed to be in his mid-thirties — appeared in our shtetl, Kariukovke. He wore a khaki-colored greatcoat and a peasant’s hat with earflaps, and he had a knapsack on his back. It was obviously an army uniform but it lacked any insignias or markings. The man spoke a rough-edged Yiddish with an equally rough Russian accent. 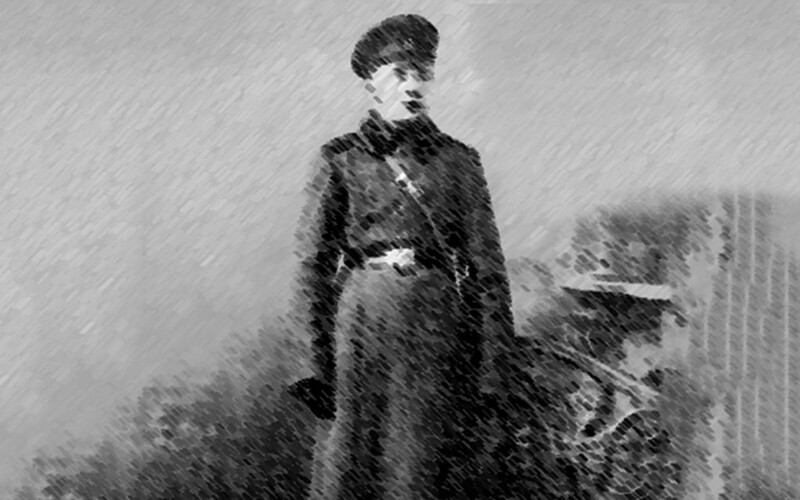 To the first groups of Jews he met, he said he had just finished his obligatory 25 years of service in the Czar’s army, and that he was returning home. He said his name was Dovid. Given the way he spoke, people looked at him skeptically. But people weren’t convinced. Out of range of his hearing, they murmured that he was a Russky trying to get money before Chanukah, or perhaps find lodging in the old age home, which always welcomed Jewish travelers. It was true. Years ago, the abductors, “snatchers,” khappers they were called in Yiddish, were active, taking even little children. But Kariukovke had suffered a rare pogrom about a dozen years back and many Jews left the shtetl. Other Jews, fleeing incidents in their villages, sought refuge in Kariukovke. Jews evidently put into practice the old Hebrew expression: change your place, change your luck. In any case, no one in town remembered such an abduction from 25 years ago. Indeed, throughout the years some youngsters left of their own accord to try their luck in America. The men looked at one another. One of them, the oldest of the group, a man in his seventies, nodded his head slowly. The newcomer, who said his name was Dovid, covered his face with his hands and began sobbing like a baby. The men looked at one another and shrugged. “Dovid, was your family name Shatsky?” I asked. We all stared at him. He looked like a goy but he spoke Yiddish. He threw in lots of Russian words, and at times it seemed he was translating from Russian into Yiddish. Had you heard him from a distance, his language would not have sounded Yiddish. His speech had the rhythms and cadences of Russian. And it should be said that speaking Yiddish did not automatically identify a person as a Jew. We had a number of goyim in town who worked for Jews and spoke Yiddish fluently. 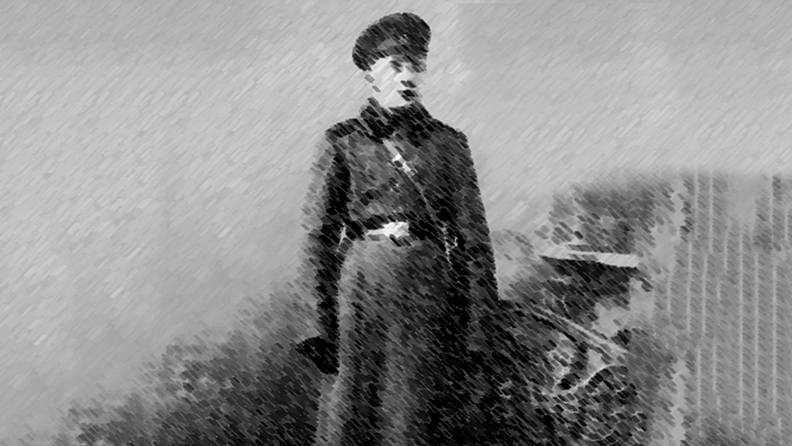 The ex-soldier, Dovid, claimed that he had spoken only Russian for 25 years. That probably was why the Slavic overwhelmed his Yiddish. Then someone in our group took out a little siddur and showed it to Dovid. Dovid came up to the man and looked him in the face. The man, apparently frightened, backed off. “Have you ever been in the czar’s army? Have you been in the army for 25 years? Anything, everything, is possible… But I still remember the Shma Yisroel. That they couldn’t wipe away from me. I said it to myself every night. Every night. I didn’t miss a night.” And he brought the palm of his right hand to his eyes, covered them, and recited the Shma fervently. But even this did not persuade the group of men. They said that they had known Russkies who could imitate those words and that gesture too. But why should a Russian want to pass himself off as a Jew in a land where there was lots of anti-Semitism, both popular and official? The answer is that the Jewish community was known for caring for its own. The man who claimed to be Dovid no doubt was hoping for a bed in the poorhouse or in the old age home, or a place in someone’s house until he found a job. He was still a young man and likely would find work as a carpenter. “Ikh bin a Yid,” he kept saying, at times declaring it forthrightly, at times in a tone of complaint. “They snatched me away when I was only 12, a year before my bar mitzvah, and forced me into the army. They wanted to break me, all the anti-Semites, but they didn’t. They couldn’t make me a Christian. We exchanged glances. He was sounding more and more like a Jew. But what Jew didn’t know his family name? What Jew can’t read from the siddur? What Jew has the gruff look of a goy? And what Jew speaks Yiddish like it comes out of the mouth of a muzhhik? A peasant? Because of the turmoil that Kariukovke had experienced, and because Dovid’s parents no longer were alive, there was no one who could remember his kidnapping into the czar’s army. We didn’t know what to say. I felt sorry for the man. Should I invite him to stay with our family? Meanwhile, Dovid stood there silently, shifting his weight from one leg to another. One of the men near me ran into a house and came out with a glass of water for Dovid, which he drank eagerly. “Are you hungry?” another man asked. We looked at him, bewildered. How did he know the old teacher? We all walked through the quiet streets to the two-story community old age home. Inside, a few residents sat in the living room..
We walked up to Reb Avrom’s room, knocked on the door, and opened it. Reb Avrom was sitting at his table, studying a text. He was no doubt surprised to see so many people, including one who looked like a soldier. Avrom was a short, thin man, with a wispy white beard and a black yarmulke on his head. He looked calmly at all of us, but stared intently at the ex-soldier. Avrom rose, and with an agility that belied his years, he gave us that heartfelt broad smile that was an ingrained part of his personality. “Dovid. Dovid.” Avrom shook his head, a sort of rocking motion that did not quite indicate yes or no. Dovid’s eyes widened and a glow spread over his dusky face as if he was having a revelation. He looked at Reb Avrom’s face as though he wanted to absorb its essence. Reb Avrom interrupted. “Yes, yes. That’s what I was going over with you. From Joseph Caro’s the Shulchan Orukh.” The Code of Law. With tears in his eyes, Reb Avrom came up to Dovid, embraced him, and kissed both his cheeks. The tears of both men intermingled. And Dovid bent down and kissed the rebbe’s cheek. I looked around. Every man’s face was wet, yet every man was smiling. Now too all of us embraced Dovid. And now all of us vied as to who would be the first to welcome him to stay with us throughout Chanukah until he settled in. And with the return of a Jew after 25 years, it was indeed a freylekhen Chanukah in Kariukovke.